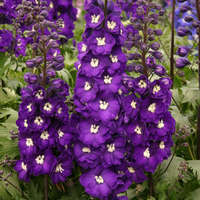 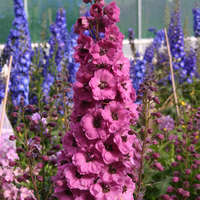 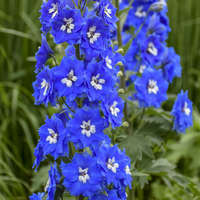 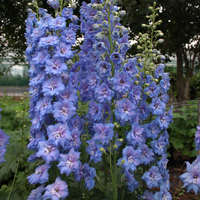 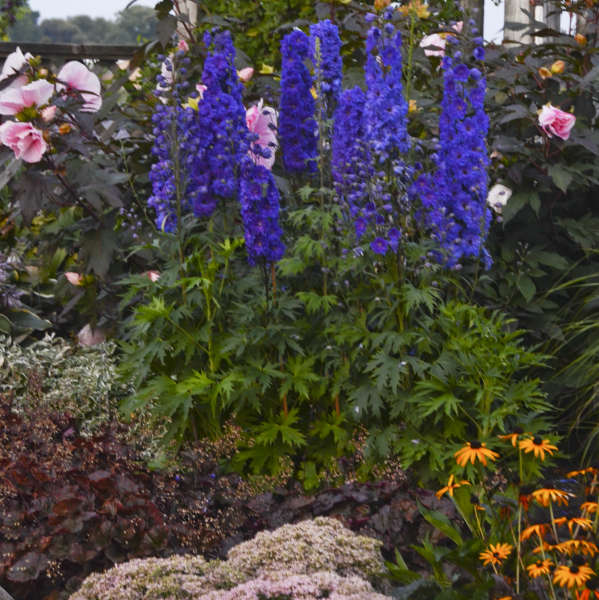 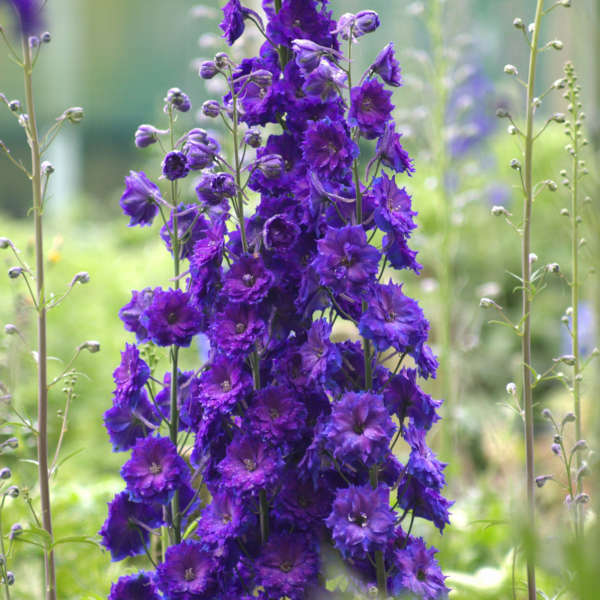 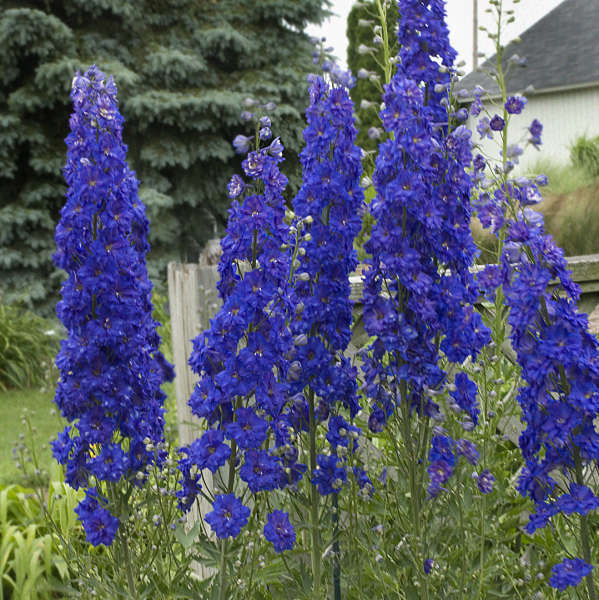 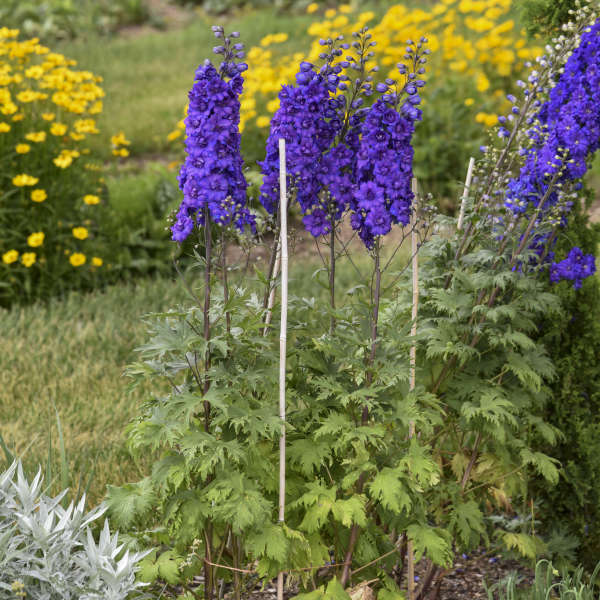 Bold spires of very dark bluish-purple flowers with white or brown bees stand up to 6' tall, adding a dramatic presence to the landscape in early summer. 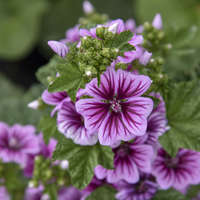 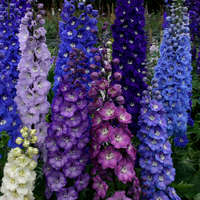 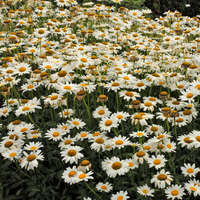 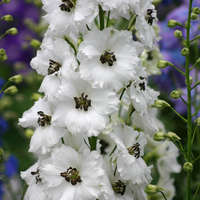 Approximately 10% of these flowers will be either white or pale mauve and are often double flowered. 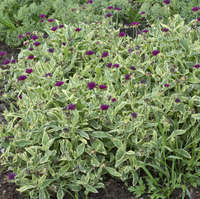 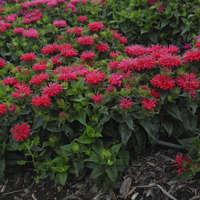 Removing spent flower spikes will result in another round of blooms on secondary spikes in late summer and fall. 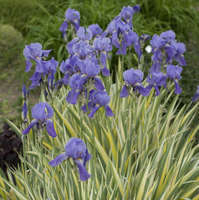 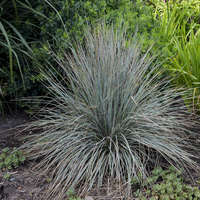 However, its large, coarsly textured leaves make this plant attractive even when it's not in bloom.